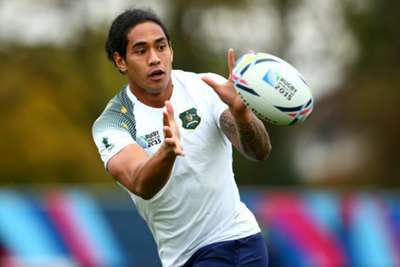 Leinster have confirmed the signing of Australia back Joe Tomane on a two-year deal from Montpellier. The former rugby league player will join up with his new team-mates in time for the start of the 2018-19 season, having featured as a late substitute in Montpellier's surprise Top 14 final defeat to Castres earlier this month. Leinster enjoyed a historic 2017-18 campaign, becoming the first side to claim the double of Pro14 and European Champions Cup crowns. And Tomane, who scored 16 tries in 44 appearances for Montpellier, is relishing the chance to become a part of the history at his new club. "I am extremely grateful and blessed to have this opportunity to join Leinster for the next two seasons," he told Leinster's official website. "It is a privilege to have the opportunity to be coached by Leo [Cullen], Stuart [Lancaster] and to train and play alongside world class athletes. "Leinster is one of the premier rugby clubs in the world with a rich culture and I will do everything I can to uphold the standards that the past and present players have laid out." “I think he is a player that will add considerably to the group and is a player that everyone who supports the team will be excited about."